Tony is a well known and respected person in the energy industry, with 30 years’ experience in the sector. He is an expert in areas such as renewable energy, energy efficiency, and other eco matters relating to reducing the energy costs and environmental impact of buildings. Tony has advised and supported homeowners, commercial developers, architects, private companies and charities. Projects have ranged from improving the sustainability of listed period properties to consulting on new builds with full PassivHaus specifications. In his spare time Tony volunteers for a local charity, keeps bees and hens, bakes bread and enjoys cycling. Rob is a fully qualified plumbing and heating engineer, who for many years ran his own plumbing and heating business in the Cotswolds. He has a deep knowledge of all things to do with sustainability, and has been helping homeowners and commercial clients assess and specify their heating and plumbing systems for many years. 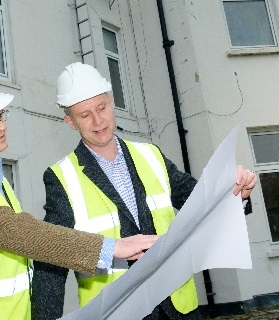 Together with Tony, Rob works with both architects and their clients, helping to look at the improvements that can be made to their plans. This might be reviewing the insulation or glazing details, calculating the size and type of heating system to install and advising on the best types, sizes and locations for radiators or underfloor heating elements. 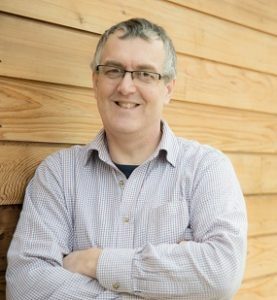 Rob is an expert on renewable technologies and can give expert independent advice on the suitability of systems such as air source heat pumps, ground source heat pumps, biomass heating systems and solar hot water. In his spare time Rob enjoys watching rugby, DIY and tinkering with cars.